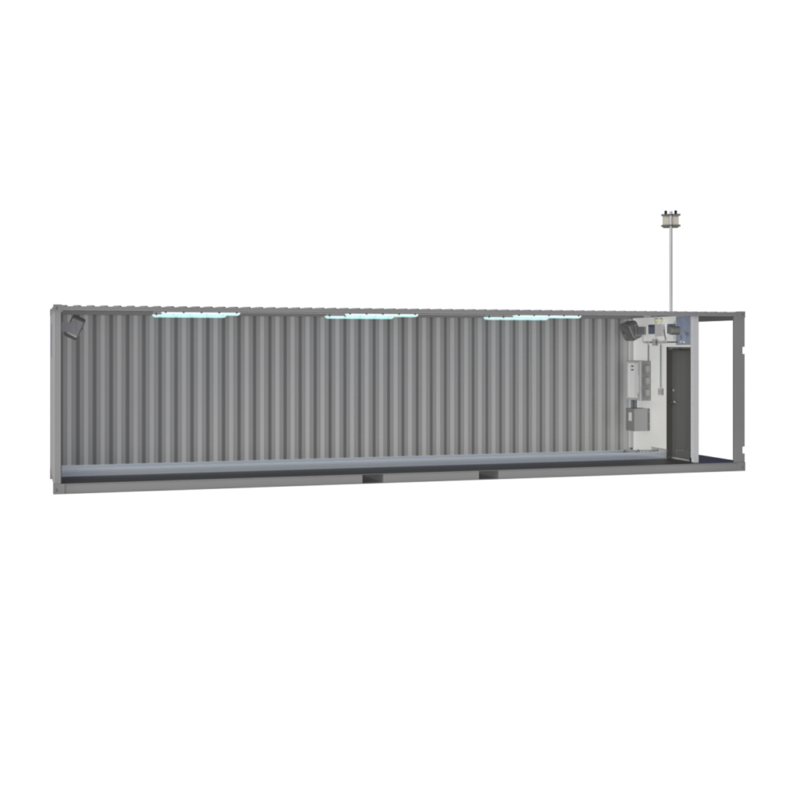 Enclosure consists of a 40 foot High-Cube shipping container with a waterproof ¼ inch thick spray-on polyester floor coating. Constructed with a false front entry allowing international shipping of unit. Unit includes an entry/egress door, ventilation fan, wet location lighting, two 5kW electric heaters, a power distribution panel, emergency lighting, an enclosed piping corridor with fiberglass grating cover, and remote access module mast. The enclosure has space for 2-3 Intuitech pilot modules.